Myrcia is one of the most species-rich lineages of flowering plants in the tropical Americas. We might expect this diversity to be reflected in the genus’ flowers. 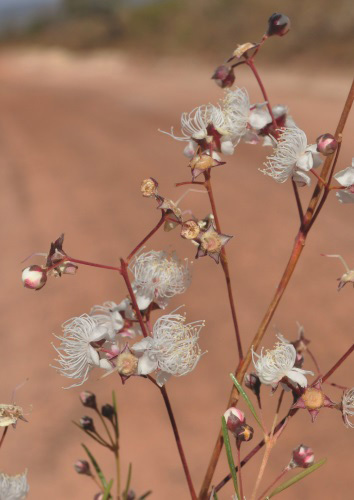 When researchers analysed the flowers of Myrcia, however, they found very little change during c. 25 million years of evolution. What could be the reason for so little change? Thais Vasconcelos, Eve Lucas and colleagues think that this points to the highly successful relationship between these plants and their generalist bee pollinators; changes in pollination strategies might not always be the reason for high diversity in flowering plants. Thais Vasconcelos took the photo on the cover of New Phytologist 221:3 during a collecting trip in the Serra dos Pirenueus, part of the Cerrado savannas of central Brazil. Thais, who was awarded the Linnean Society’s John C. Marsden Medal for her PhD thesis in 2018, aimed to understand how variation in floral traits was linked to diversification rates in Myrcia. 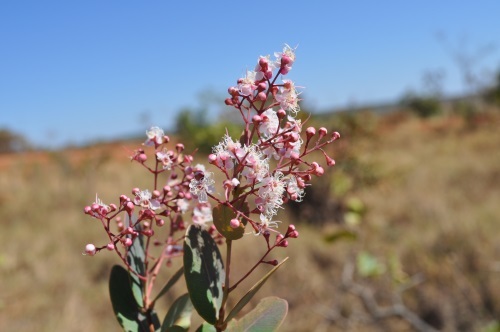 When Thais and her colleagues found no significant change in Myrcia flowers across the phylogeny, they concluded that the large number of Myrcia species could be the result of an adaptive plateau in pollination strategy, combined with the ability to change other, non-floral, parts of the plant. Low extinction and moderate speciation rates have resulted in a long period of species accumulation, leading to the large number of species. The relationship between Myrcia and their bee pollinators has stood the test of time. This entry was posted in Latest Posts, New Phytologist, NPCover and tagged Brazil, Cerrado, diversification, Myrcia, Myrtaceae, Myrtle, New Phytologist, NPCover, plant science, speciation. Bookmark the permalink.